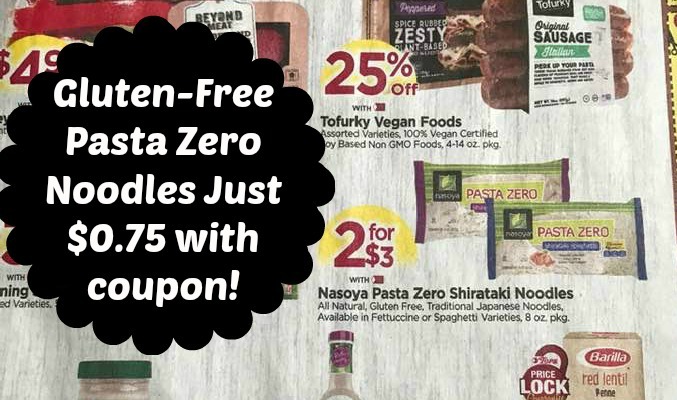 Score Gluten-Free Pasta Zero Noodles this week at Tops for just $0.75 using a printable coupon. Originally I thought these would be free with doubling however the coupon is coded to not double and it also states this on the coupon. Note, you will find these in the refrigerated produce or refrigerated natural/organic section.